For efficient insulation measurement ! One body within four ranges, 125 V/40 MOhm, 250 V/2000 MOhm, 500 V/2000 MOhm, and 1000 V/4000 MOhm. ● ● Accurate digital display. ● Insulation measurement through sight and sound. ● Memorizes on the spot (Memorizes up to 20 data points). ● Recognizes variations of resistance. 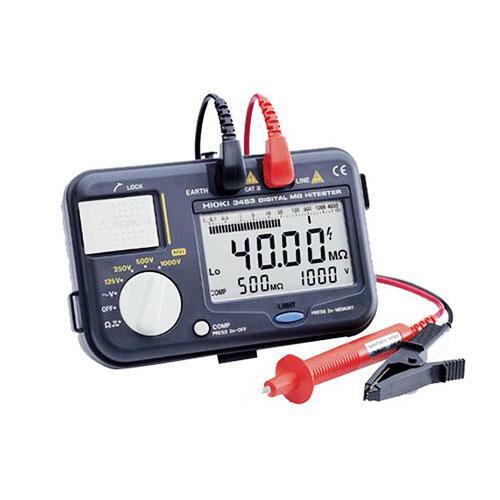 ● Ability to measure AC voltage and low resistance (continuity).